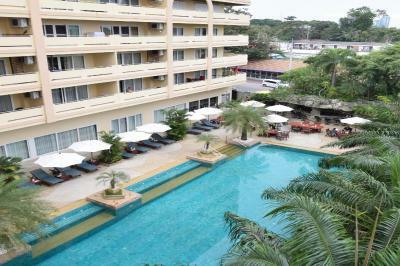 ท่านต้องการเข้าพักที่ View Talay Residence 6 Wongamat Sand Beach เมื่อไร? 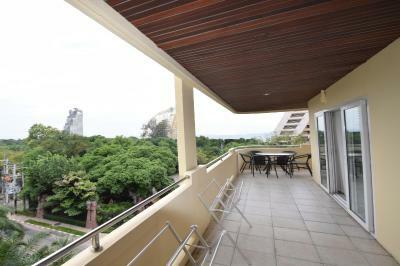 This apartment has a terrace, garden view and private entrance. This room is wheelchair-friendly. This apartment features a balcony with garden views, seating area and toaster. This apartment has a balcony and pool access. This room is wheelchair-friendly. This apartment has a balcony with pool view, dining area and kitchen. This suite suite features a balcony, DVD player and toaster. This suite has a balcony, air conditioning and stovetop. Please note that the bed for a 3rd guest is a sofa bed and is chargeable. Featuring 2 bedrooms, this suite features a balcony, private entrance and tile/marble floor. This suite features a balcony, kitchenware and toaster. สิ่งอำนวยความสะดวกของรีสอร์ท View Talay Residence 6 Wongamat Sand Beach 10.0 คะแนนสำหรับสิ่งอำนวยความสะดวกชั้นเยี่ยม! สนามบินนานาชาติอู่ตะเภา ระยอง-พัทยา (UTP) 33.5 กม.